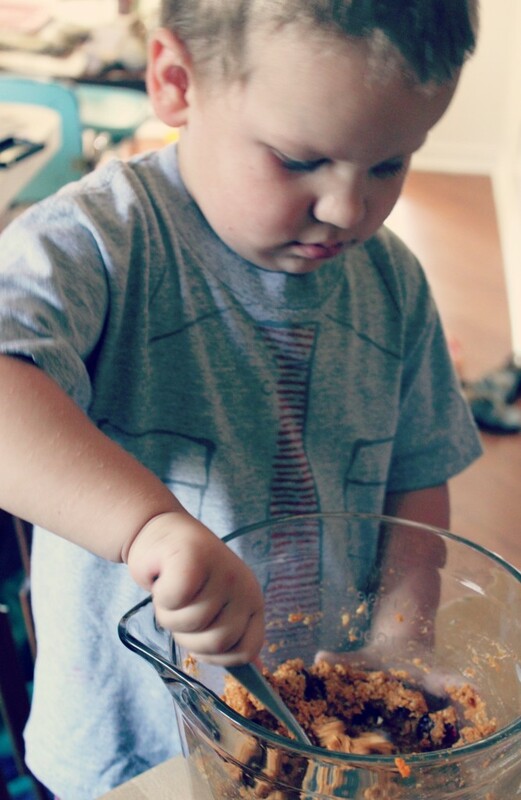 This boy loves to help and getting to measure and stir just makes his day. 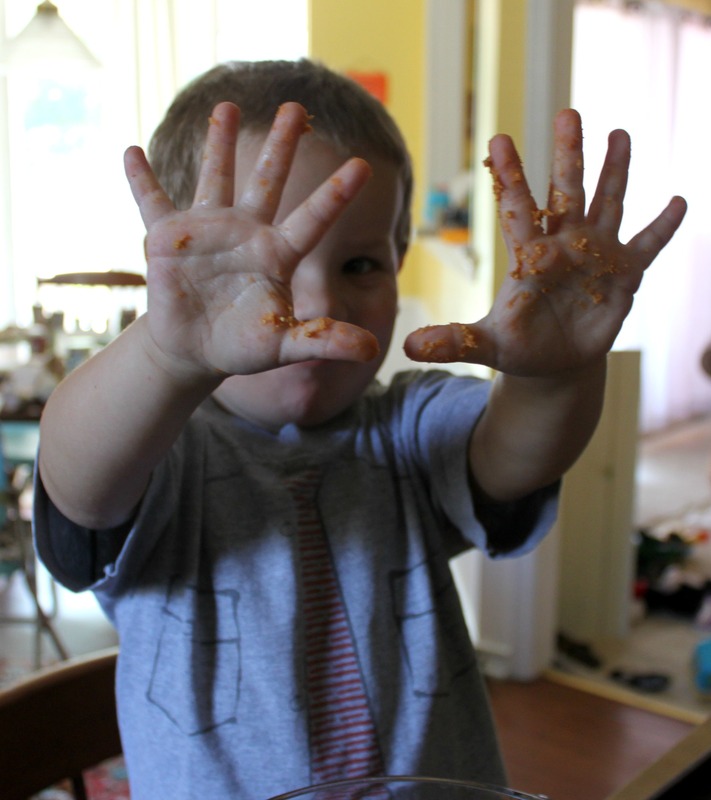 The secret to cooking with toddlers and preschoolers is just to embrace the mess and let them get in to it. They will have so much fun! Preheat the oven to 350 degrees and grease the cookie sheet. 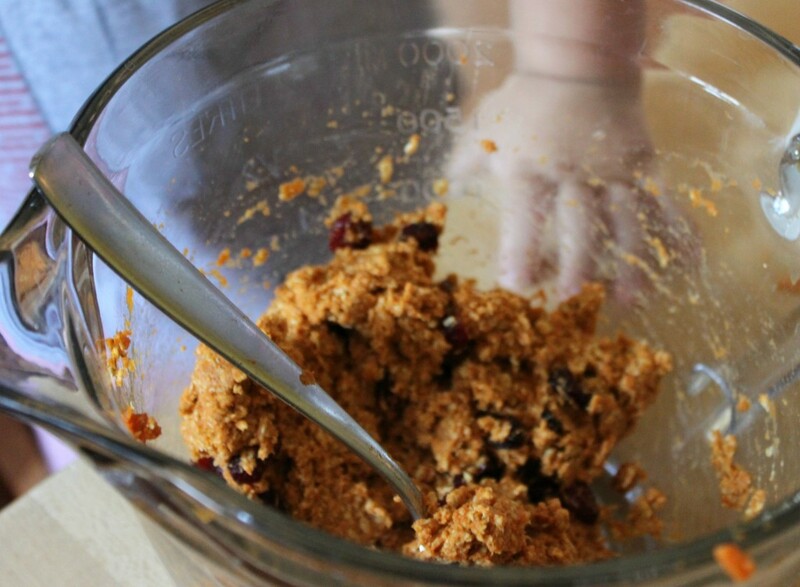 Mix all ingredients (minus cranberries) in a mixing bowl until everything is combined well. After all the other ingredients are combined, gently stir in the cranberries. Scoop or spoon the dough in to balls on to a greased cookie sheet and then flatten them for easier cooking. They won’t spread, so you can put them close together. 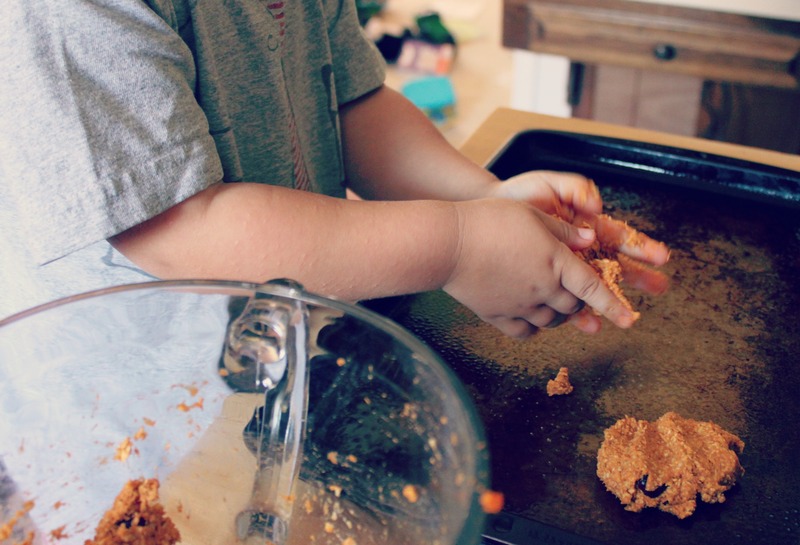 Greasing the cookie sheet is very important, as the cookies don’t contain butter. Bake at 350 for 8-12 minutes until cookies are firm. 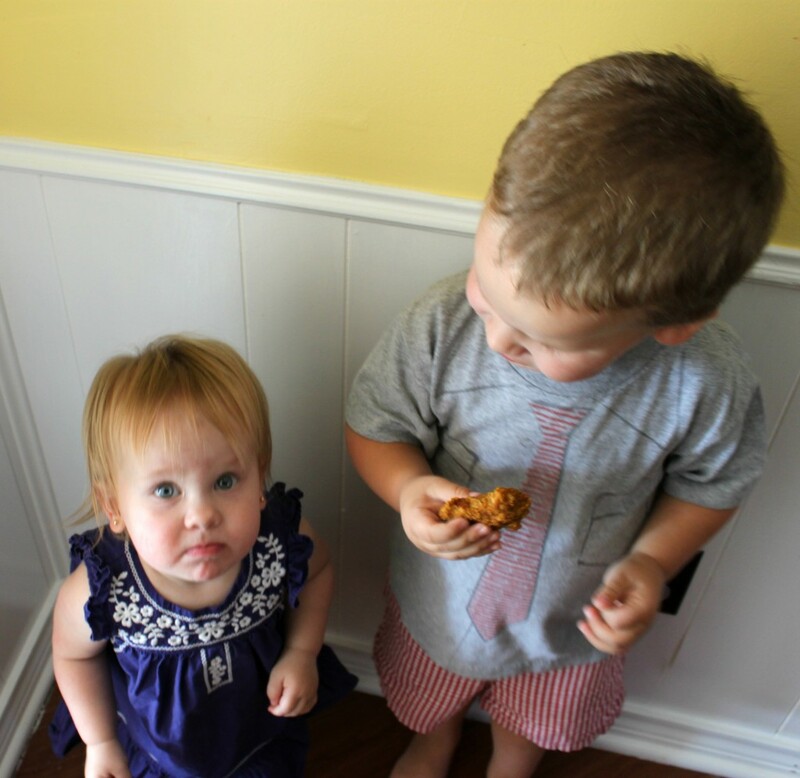 Wash off those messy hands and wait for the cookies to bake, then share them with any other cuties in your house. 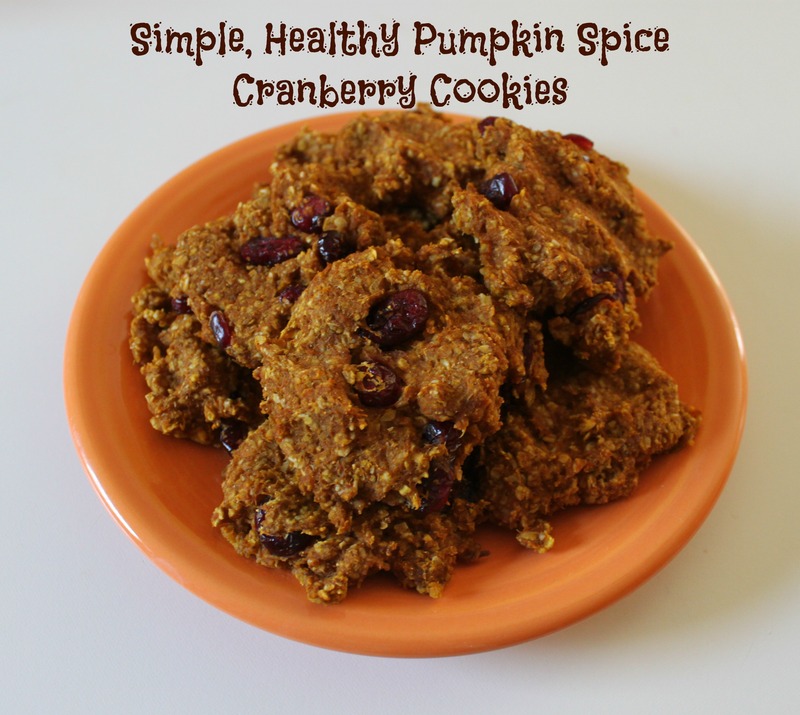 These pumpkin spice cranberry cookies are the perfect accompaniment to our DIY Pumpkin Spice Latte recipe. 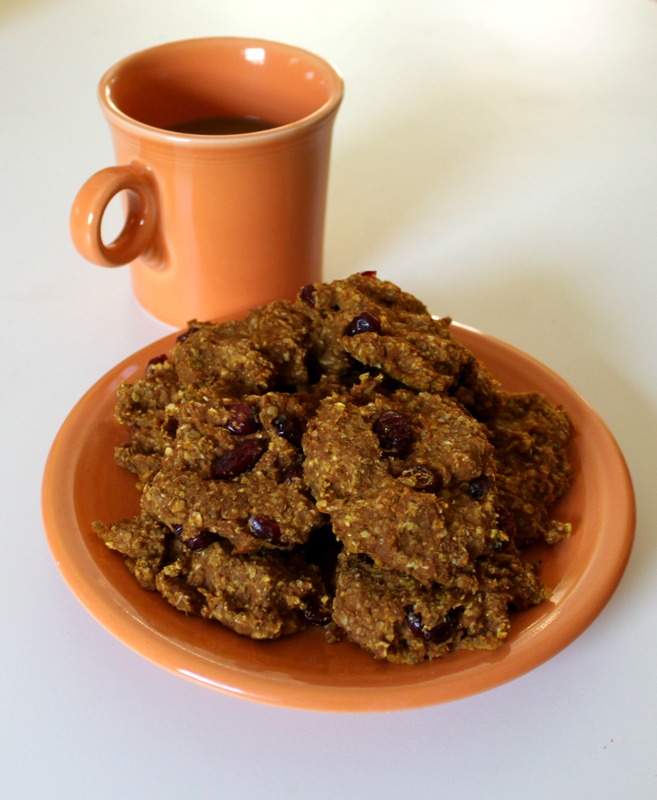 Is it ok to sneak vegetables in to your child’s breakfast in the form of a cookie? Oh yes, ma’am.